The city of Los Angeles has been the epicenter of many of the most influential art movements of the second half of the 20th century. Pacific Standard Time: Art in L.A. 1945-1980, a collaboration of more than sixty cultural institutions across Southern California, will come together to tell the story of the birth of the Los Angeles art scene. 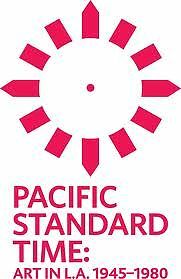 The rate for the Pacific Standard Time package starts at $239 per night and will be available through March 31, 2012. 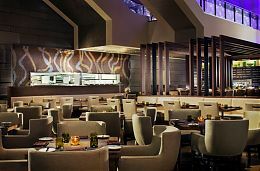 To book the Pacific Standard Time package, please visit www.lalivemarriott.com and enter code ZJL. LA Market Restaurant by Kerry Simon, located on the lobby level of the JW Marriott, is pleased to offer a new menu beginning this month. While still including several LA Market signature dishes, new dishes include a Short Rib & Taleggio Melt with caramelized onions, taleggio cheese and grain mustard; Roasted Squab with dried fruit chutney, garlic polenta, white asparagus and apple cider sauce and Olive Oil Baked Cod with warm potato salad, saffron aioli and garlic croutons. For reservations, please call LA Market at (213) 765-8630. Refresh and renew from the busy holiday season with a spa treatment at our Spa. Choose from one of our seasonal treatments such as a Sugar Plum Facial, packed with phytonutrients and vitamins to fight free radicals and relax fine lines and wrinkles or the Cranberry Pomegranate Body Treatment with a natural cranberry and pomegranate sugarcane polish. Alternately, select one of our signature treatments such as the Champagne & Shimmer Body Treatment, leaving you with a youthful, golden glow. 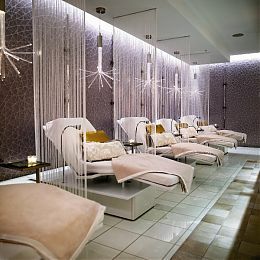 To make an appointment, please call the Spa at (213) 763-4400. 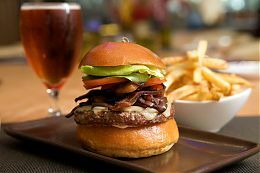 Every night of a LA Kings home game at The STAPLES Center, The Mixing Room, located on the lobby level of the JW Marriott, offers a special Burgers & Brew menu. Guests can choose any burger and any draft beer for $15.00 and enjoy all the pre-game coverage on one of The Mixing Room's ten 50" televisions. Kings fans are also invited to join Kings radio broadcasters Nick Nickson and Daryl Evans at The Mixing Room for "Kings Talk" live after every home game. Come join the fun! The Mixing Room Cocktail Lounge will offer a Los Angeles Clippers vs. Los Angeles Lakers cocktail showdown for the duration of the NBA season. Guests are invited to support their favorite team with the festive cocktails, and at the end of the 2012 NBA season, The Mixing Room will tally the number of cocktails ordered for each team, and the winning team's cocktail will earn a permanent spot on The Mixing Room's menu. The Clippers Martini & Lakers Martini are available for $14 each.